Why should you get a certificate for SSL-VPN? 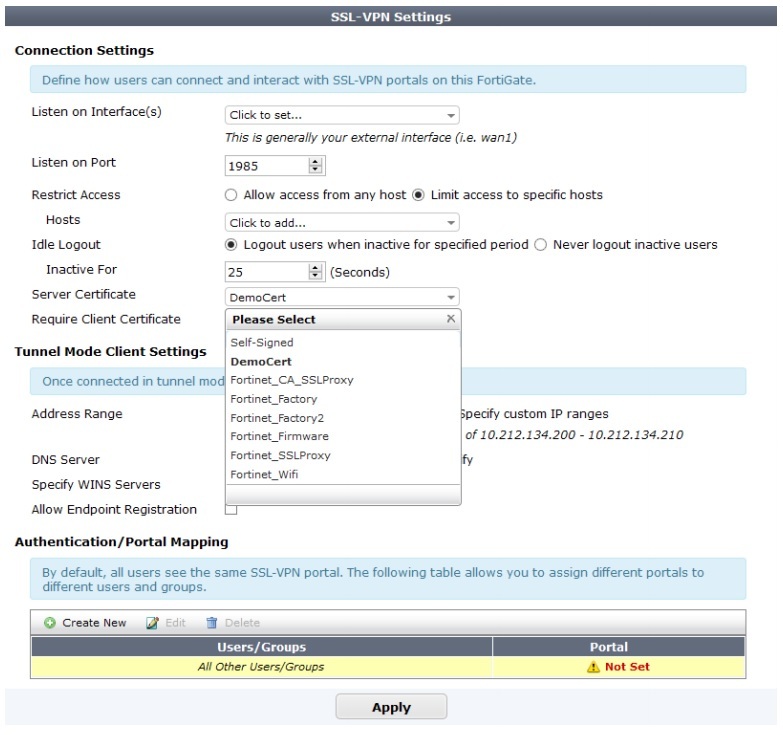 When you setup your FortiGate to let users connect into your network via SSL-VPN you will notice they receive a certificate warning. This is because the certificate being used is the self signed certificate that’s on the firewall. This certificate isn’t “trusted” by clients trying to connect in so they warn you on connection attempts. You can eliminate this problem and potential support call by purchasing a SSL certificate from a reputable Certificate Authority and installing it on your firewall. SSL certificates can be purchased from any CA. You only need to purchase a basic SSL certificate for domain validation only but of course, if required you can purchase a more secure SSL certificate. Some CA’s auto-generate the CSR during the signing process so you might not need to follow step 2, if that’s the case for you move onto step 3, otherwise continue on below. Select the CSR and choose Download to save it locally. 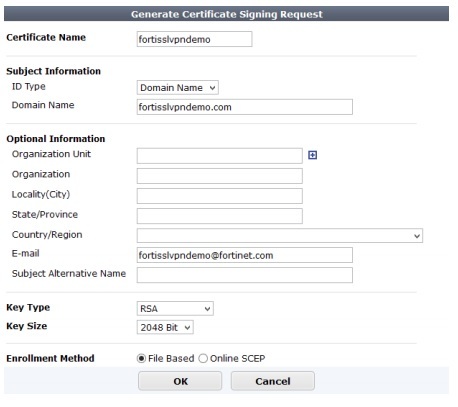 Step 3: Follow your providers instructions for uploading the CSR you created and generating the certificate. Unzip the file you received from the CA. Import the CA certificate by selecting Import > CA Certificate. It will be listed in the CA certificates section of the certificates list when you are done.